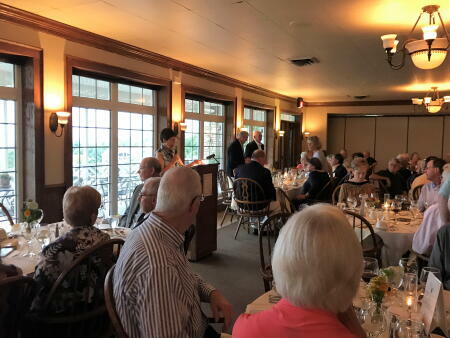 The board of advisors of the Alleghany County Community Foundation recently hosted the annual wine dinner celebrations. The events are an opportunity to showcase local grant recipients and raise money for the community grantmaking fund. Each evening of the annual dinners was attended by more than 250 local leaders and community members. Pictured above is Pratt Davis, ACCF board president, addressing the attendees.